If you have a pet dog, you get to have a loyal and steadfast companion all year long. Like humans, dogs have different needs for each season, and there are some special tips you should keep in mind to make sure your furry friend is healthy and happy throughout the summer. Here are some things you should keep in mind for your beloved pets as summer arrives. Dogs get dehydrated just like humans do. For that reason, it’s important to offer your dog more water during the warm months. Put multiple water bowls out in your house — particularly if your house has more than one floor. Make sure you check and refill them regularly. You should also get a collapsible travel water bowl to carry with you on the go. That way, if you’re out of the house, you can stop and give your pup some water so he stays comfortable and hydrated no matter where he is. Walks are always good for a dog, but during the summer, try to walk during the most comfortable hours of day, particularly if you live in a really hot part of the world. Try going early in the morning or late in the evening before the sun has a chance to heat up or after it’s cooled down outside. By walking at the right time of day, you can go on longer walks and make sure both you and your pet are expending the proper amount of energy to stay happy and healthy. Ticks and fleas are normal pests that like to hitch rides on dogs. If your dog’s going to be spending a lot more time outside during the summer, you need to be sure your dog’s flea and tick treatments are up to date. Go to your vet and ask for flea and tick treatment to make sure your pup is protected. 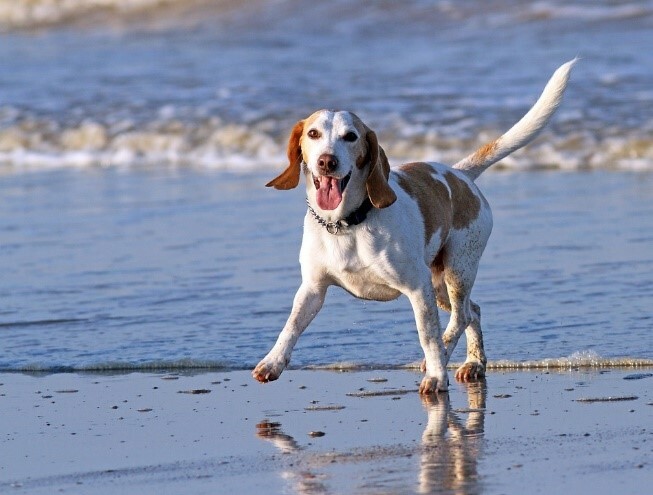 Check your dog for ticks and fleas regularly after you go on walks, venture out on hikes or visit the beach. By catching these pests early, you can make sure they don’t cause health problems for your dog’s health or in your home. It can heat up even inside during the summer. Make sure your dog’s bed is placed somewhere that is cool either away from a hot sunny window or in an air-conditioned room. If your dog seems particularly fatigued during the summer, make sure he’s spending enough time inside cool rooms and is getting enough sleep in a comfortable spot. If your dog seems to be excessively thirsty or fatigued, take him to the vet. He might have something more serious like Cushing’s Syndrome, which can be treated with various medications, such as trilostane for dogs. Having a pet dog is an excellent way to have a companion and make memories no matter what time of year it is. If you have a pet dog and it is summer time, there are some season-specific health tips to keep in mind so that your dog thrives all season long. By keeping this important info in mind, you can ensure that your dog stays healthy, happy and by your side for many more summers to come. Lannie, writer for Allivet. Allivet provides affordable pet supplies and pet medications, all of which can be purchased online.